Foods such as broccoli can cause indigestion or make indigestion become worse. Broccoli can cause gas, bloating and belching. Broccoli contains many nutrients such as vitamins A and C, as well as calcium, iron and protein. One cup of broccoli contains approximately 6 grams of carbohydrates. That may not seem like a lot, but in comparison to fats and protein, the carbohydrate content of broccoli is around 71 percent. Foods high in carbohydrates tend to cause indigestion. Certain high-fiber foods, such as broccoli, cauliflower and cabbage, cannot be completely broken down during digestion, according to the National Digestive Diseases Information Clearinghouse. This can lead to indigestion. Symptoms of indigestion include nausea, belching, upper abdominal pain, heartburn and excess gas. Certain foods have high carbohydrate content, which can be hard for your body to digest. Having high carbohydrate content can also cause gas, belching, bloating and gas pains. Broccoli, cabbage, cauliflower, beans and carbonated drinks commonly cause indigestion. Other foods that can cause indigestion due to their carbohydrate content include Brussels sprouts, hard candy, lettuce and some fruits, such as peaches and pears. 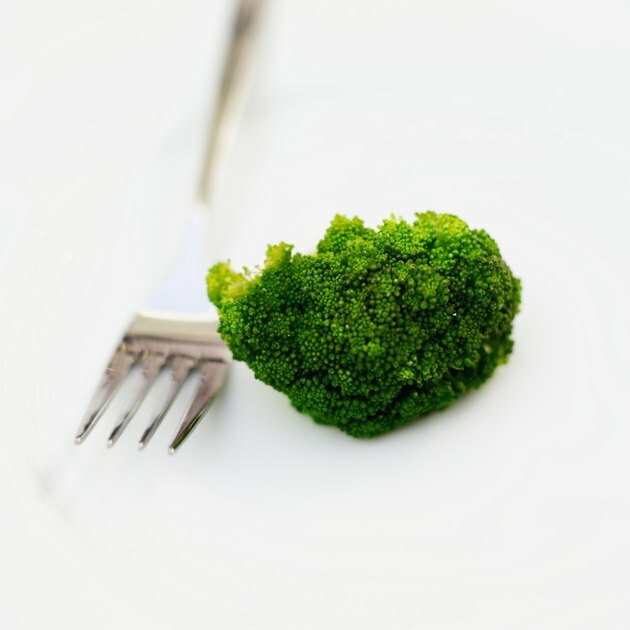 In addition to causing indigestion, broccoli can cause excessive amounts of gas, depending on how much you’ve consumed and how sensitive your body is to broccoli. You may experience severe gas pains, abdominal bloating and nausea. The average human typically produces 1 to 4 pints of gas each day. Broccoli can significantly increase this number. A trip to your local pharmacy will reveal multiple over-the-counter antacids to help relieve indigestion and gas. They are typically available in either tablets or liquid medications. If you experience frequent indigestion, avoid eating foods that can cause it, such as broccoli. If you still suffer from indigestion after adjusting your diet, talk to your health-care provider. It may not be safe for you to consume large quantities of antacids on a regular basis, or you could have a more serious health condition such as acid reflux or gastroesophageal reflux disease, also known as GERD. If gas and bloating also are concerns, purchase gas drops to help relieve those symptoms.